Dozer has a home! 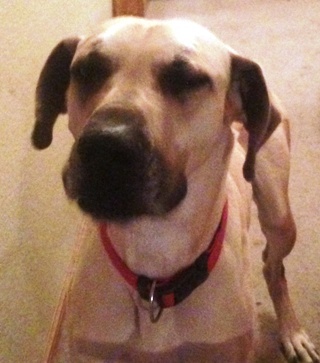 - Rocky Mountain Great Dane Rescue, Inc.
Dozer has a home with Amy and her family in Layton, UT!! The family has never owned a Great Dane before but have past experience with English Mastiffs and a Newfoundland. They have done research on the Great Dane breed and are excited to bring one into their home. They have spoken to Dozer’s foster family and both agree that Dozer was meant to be a part of their family. Dozer will have two human children to keep him busy and also have a Bulldog sister as a companion. Way to go, Dozer! !